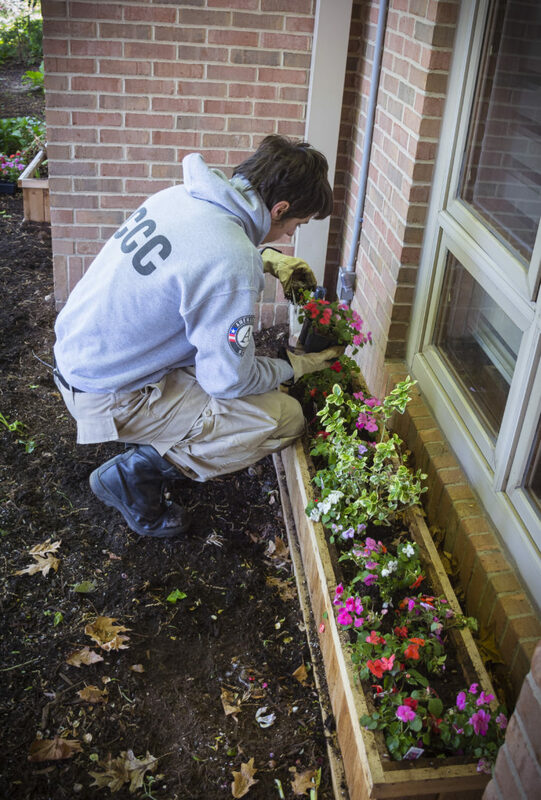 The flower beds at Ohio’s Hospice of Dayton were recently given extra care, thanks to the giving hands of AmeriCorps NCCC volunteers from the North Central Region. 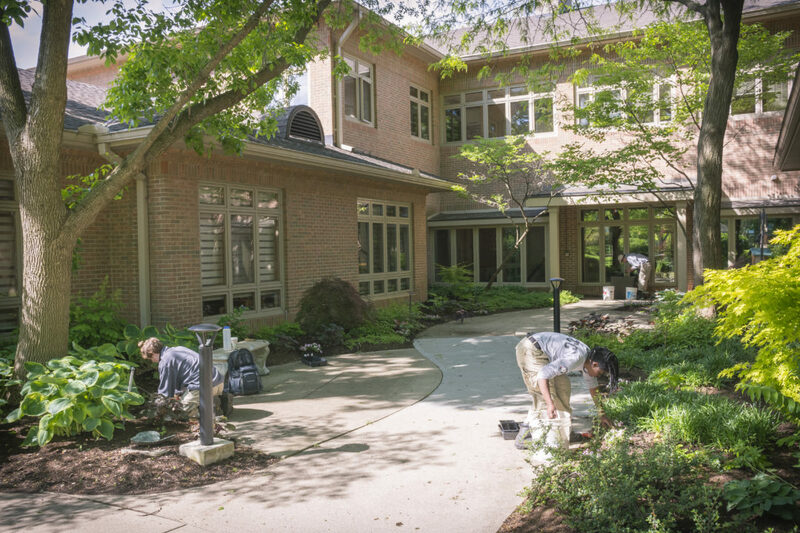 From Vinton, Iowa, the group of 18-24 year olds volunteered at Ohio’s Hospice of Dayton and worked seven hours on Monday, May 16 planting annuals and maintaining our flower beds. 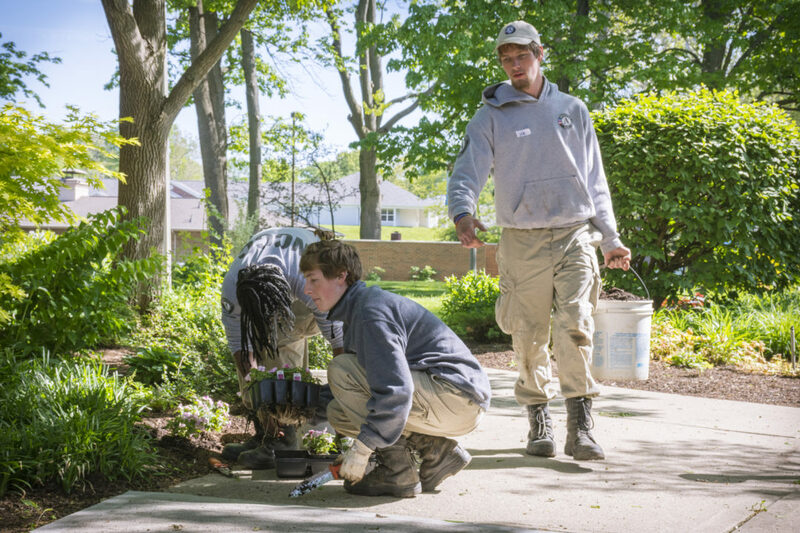 The group was led by our lead landscaper Miriam Wolf. 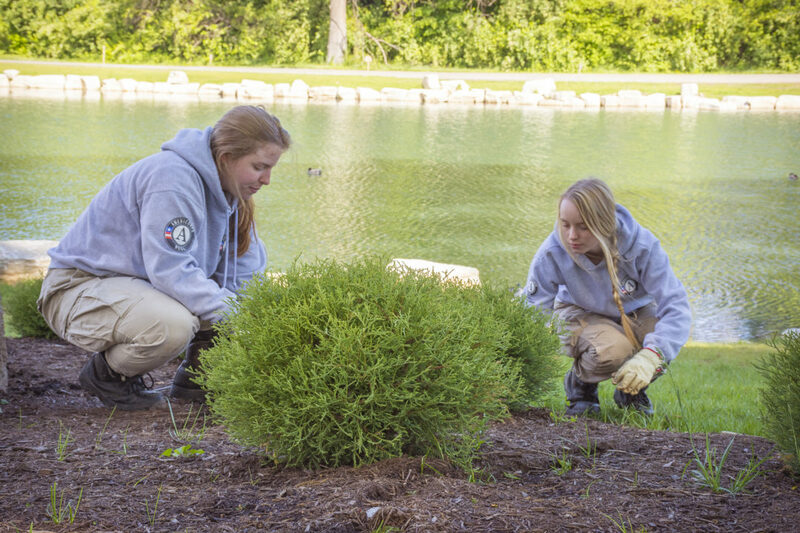 The volunteers are participating in a 10-month program traveling in the Northwestern region to help strengthen communities and their own leadership skills. 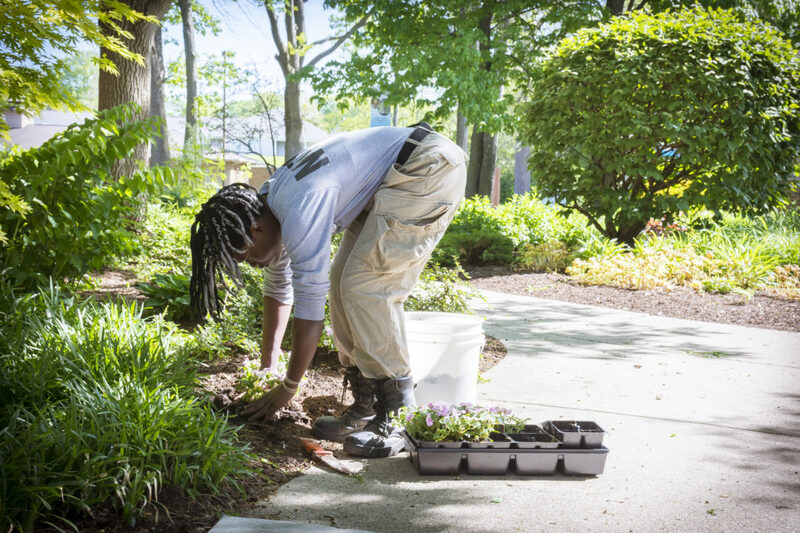 Currently, eight members are here in Dayton for two months working with the Aullwood Audubon Center and Farm as part of a grant. 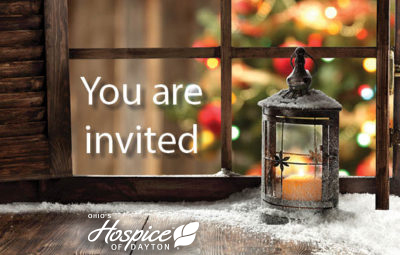 The staff from Aullwood suggested the volunteers extend their services to Ohio’s Hospice of Dayton to help meet the 80 hours of community service they are required to meet. One of the volunteers Keira Larson, 23, from Chandler, Arizona has never had exposure to a hospice and mentioned the other members were new to the environment as well. “We have been very fortunate with our experience,” Larson commented. Frampton went on to say volunteering at a hospice is a great way for them to help out at a place with which they are unfamiliar. The volunteers were given a tour of our Hospice House and educated on the mission and services we provide. 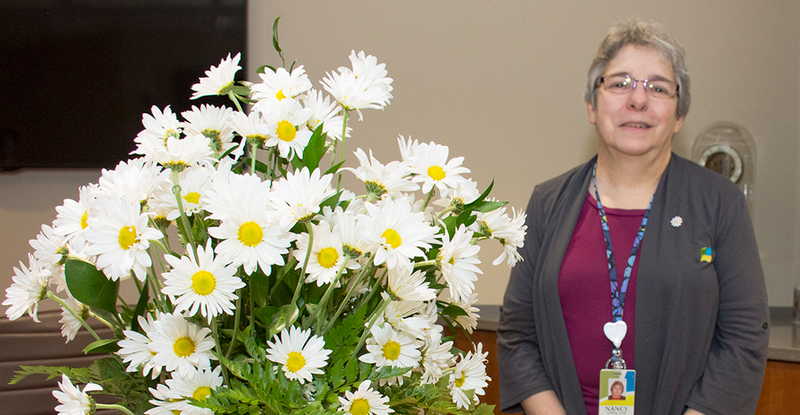 After learning more about hospice, the volunteers felt so good about the work they were doing for our organization that they came back to serve another day. We were happy with the news! 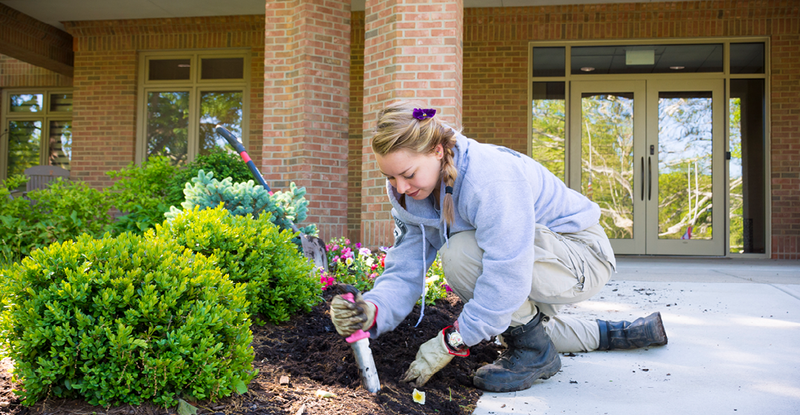 Ohio’s Hospice of Dayton thanks the AmeriCorps Volunteers for their hard work and wishes them well in their valuable work.